1886. Two young boys disappear in the Sounds. Their mother grieves, all the music cut out of her heart; their father wanders the coast for a year, wanting and not wanting to find any part of them left behind. And their brother Ern, faced with a problem to which no solution can be found, returns to his laboratory – and to the smell of salt, soft voices in his ear, wet footprints welling seawater in the darkness. 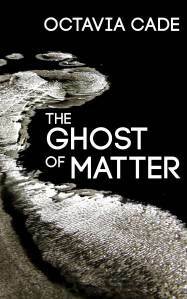 The Ghost of Matter weaves together time and memory, physics and mystery, in this story inspired by Ernest Rutherford’s life and research. Published by Paper Road Press, The Ghost of Matter is available at Amazon and Kobo.